The material is processed in the rotating drum at high temperature for a precise time to induce a physical change and is kept inclined to assist the moving material inside. Indirect fired kilns are used for applications where the processing occurs in inert atmosphere or when the material has to be controlled. It is refractory lined because of high amount of heat is being pushed inside. 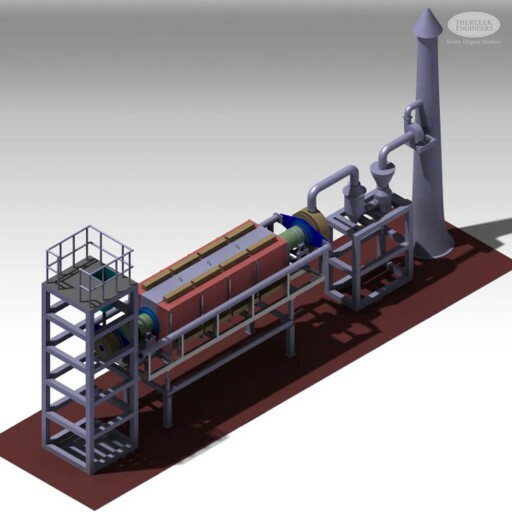 This is a highly resourceful thermal processing machine capable of treating variety of components for application like calcination, thermal desorption, organic combustion, sintering.